Opening only in the last three weeks, Korked Lounge Bar is Port Adelaide’s new kid on the block. 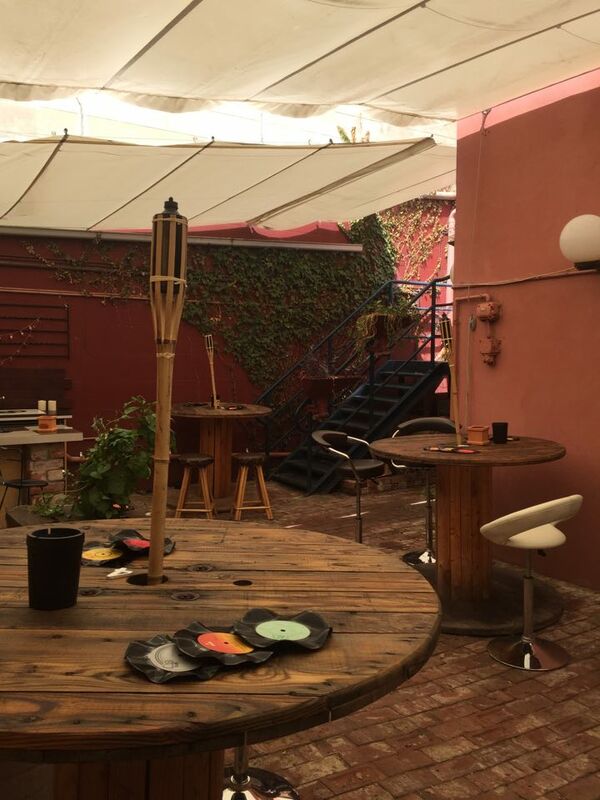 Despite being the newbie, Korked is already paving its way into our hearts as a unique bar experience with eclectic vibes, exceptional service and a stunning hidden courtyard (who doesn’t love a secret garden?). Friday night at Korked is the perfect knock-off destination. After work crowds come “to run a muck, kick their heels up and chill out all at the same time,” according to owner and manager, Sandy. Saturday is currently a more a funky chilled out vibe, that could potentially get even funkier with the addition of Sandy’s plans to add an 80’s/90’s DJ once a month. Sundays, well, that beautiful courtyard screams ‘Sunday Sesh’ to us. You can often find Sandy pouring beers behind the bar and chatting with customers. Sandy makes you feel at home – literally, she lives upstairs - with her exceptional customer service and infectious laugh. Korked is Sandy’s third business venture and it appears to be her favourite one yet. “Literally everything about this place is different to anything I’ve ever seen so hopefully it's different for everyone else – from the furniture, the menus, the coasters and just the little quirky things that I have around the place and in the garden. It’s full of atmosphere, comfortable but still tasteful,” she said. We think so too Sandy. On Sunday afternoon we enjoyed one of Korked’s famous tasting boards – a delightful arrangement of Turkish bread, Bocconcini and Cherry Tomatoes drizzled with extra virgen olive oil and fresh basil, a trio of dips served with crudités, and finished with a selection of 3 cheeses. These platters are perfectly paired with a glass of wine, whilst chatting to your friend’s in the courtyard... the perfect Sunday arvo oasis. The menus are uniquely hidden beneath the pages of children’s books, an unexpected and pleasant surprise. Page 1 features a mixture of Adelaide Hills and Marlborough white wines, reds from South Australia, all your beer and bubbles favourites, combinations of dry and sweet ciders, and a top shelf spirit bar. If the wine label is “wicked and eye catching” and it’s from a good wine region it’s likely to make the cut at Korked – Sandy is experienced in the hospitality industry, so we trust her judgement. Beers from Big Shed Brewing are going to be added to Korked’s beer list in the next month or so. Korked is open for Australia Day with exciting specials on offer. Live music will be played from the stairwell in the courtyard and you can expect a few Aussie themed drink and food specials – the rumours are green and gold shots to get the celebrations started. Check out what’s upcoming at Korked on their Facebook page here. When: Friday 12pm til late, Saturday 12pm til late, & Sunday 12pm til 6pm.